According to a new User Experience Survey Report, almost three-quarters (74%) of businesses believe that the user experience is important for improving sales and conversions, increased customer satisfaction (72%) and customer loyalty (44%). Big brands have been using education as a way to connect with their consumers for a long time. Tying added-value content using interactive media to education goes hand-in-hand. With a clear competitive advantage hinging on exceptional user experience, employing interactive tools as part of your content marketing strategy, will go far toward solidifying your organization as one that meets a core customer need. Bottom line: “users want to learn and be entertained, quickly.” Interactive tools can help accomplish that. H/T on the RF Intent Index from SmartInsights, which has other interactive tool examples. Whether you call it a ‘widget’ or a ‘tool’, the goal of interactive content is to provide a unique personal experience that your customers and prospects might not expect from more traditional forms of content. Tools that allow user input and that publish customized output as content can be very effective, but interactive tools can also simply answer questions or facilitate a process, from quizzes to diagnostics. The focus should be on creating a meaningful touch-point with your brand and maintaining a connection among users. 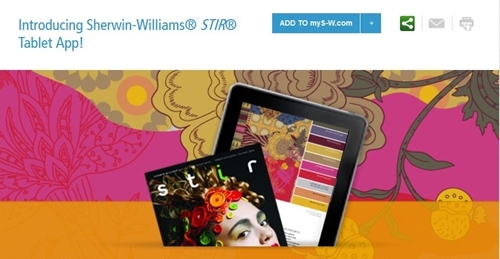 With content exclusive to the tablet format, Sherwin-Williams STIR® magazine tablet continues to provide inspiring ideas and technical insights into the use and application of color in residential and commercial interiors. Free to use on your tablet device. This follows the customer journey TopRank maps for its clients: attract, engage, convert. Vizrt provides real-time 3D graphics and asset management tools for the broadcast industry – from award-winning animations and maps to online publishing tools. Vizrt’s products are used by the worlds’ leading broadcasters and publishing houses, including CNN, CBS, Fox, the BBC, and others. The presenter guides viewers through pre-game statistics and lineups, in-game analysis and post-game discussions. Below, is the advanced analysis interactive tool for the 2014 World Cup. Brought to us from the USDA, this highly interactive web application allows you to track your diet with daily food plans, BMI calculator, virtual coaching and more. I realize there are a number of similar web and mobile apps that compete, but I wanted to acknowledge the U.S. government and the people behind this interactive online tool. Despite the recent government shut down, it’s nice to see when they get something right! When incorporating interactive tools to your content marketing plan, the benefits are numerous. In today’s fast paced and information rich world, providing answers isn’t enough. Brands need to focus on creating experiences with their content marketing and interactive tools are one way to do that. On top of that, interactive content is highly shareable, increases qualitative time spent on your web site and can support the overall customer journey from awareness to consideration to purchase. This is the same approach we evangelize at TopRank Online Marketing for our B2B marketing clients. By bringing content to life with interactive tools, you can gain insights into the customer and design for the ultimate experience and a mutually beneficial outcome. What do you see as the next generation of interactive tools and design? What are some great examples? Any fails? 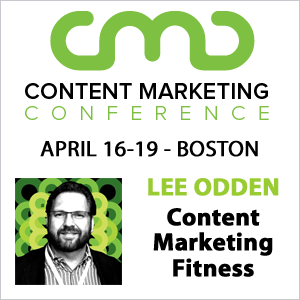 If you’re interested in other articles about content marketing tactics, be sure to visit our content marketing tactics index. While I’m not sure what the next generation of interactive tools looks like, I can only imagine that they will become more advanced. A great example of an interactive tool that I use on a daily basis is Pixlr. I know by looking at the three options on the homepage (Editor, Exprss or O-Matic) which one I will need for any given photograph. The whole editing process is smooth and easy to use. P.S. I think you’ve got it right when you say we need to create “experiences” with our customers not just content. This is what will keep them coming back and build loyalty. You and Lee think a lot alike. Pixlr is his go-to tool and he’s been advocating creating experiences to map the customer journey for some time. Thanks for your comments. Everything is moving towards interactivity. Great article! I have been wondering how to make my website more sticky. I believe this post has provided the answer. It should have been obvious, because that is the reason I return to my favorite site. Thank you for an information-packed post. Glad you found the info helpful. I learned a lot researching and writing it. with the tested and reliable even if it will cost you a few more bucks. Very informative! I agree. It maybe time-consuming but just consider it as helping educate your visitors. Its also the best way to gather more in-depth customer data.